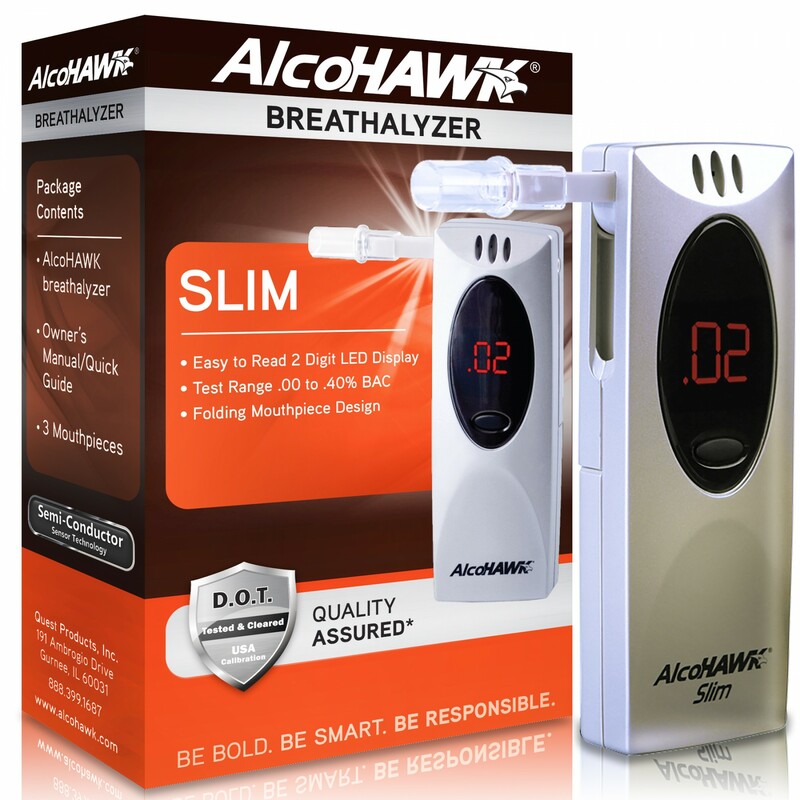 The AlcoHAWK Slim breathalyzer is the most affordable breath alcohol screening device on the market that has achieved DOT and FDA 510(k) Clearance! 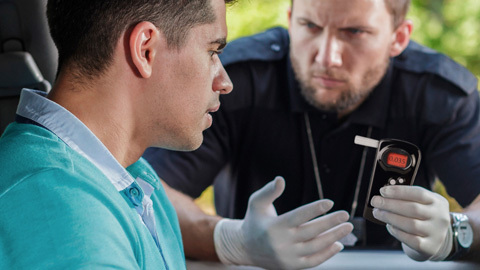 The Slim screens for the presence of alcohol quickly and is an ideal solution for a discreet, easy-to-use breathalyzer unit. 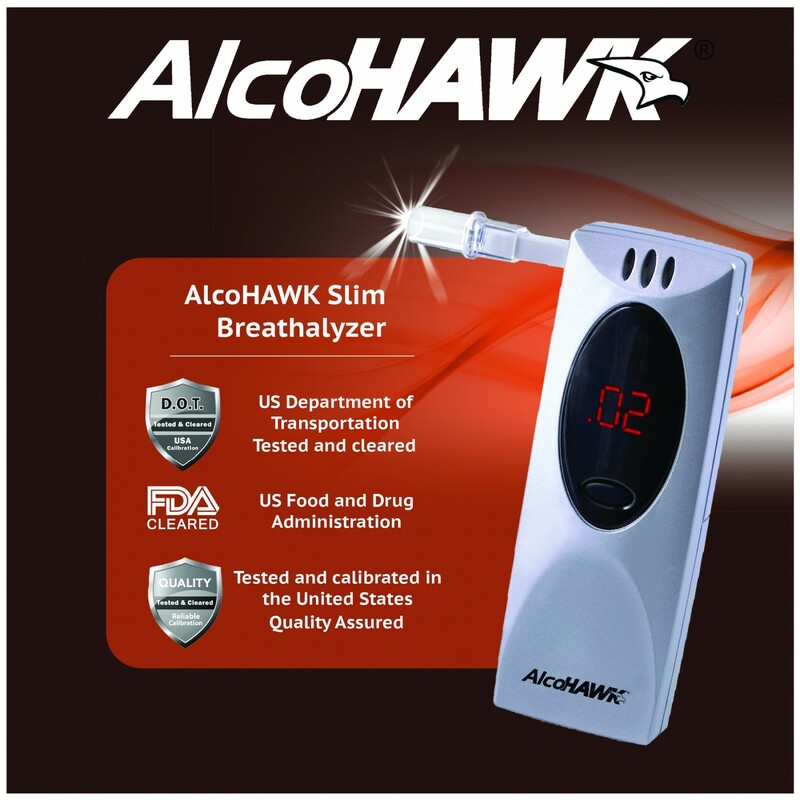 The AlcoHAWK Slim breathalyzer is the most affordable breath alcohol screening device on the market that has achieved DOT and FDA 510(k) Clearance! It features a sleek personal design roughly the size of a cell phone made of high quality, impact resistant ABS material. 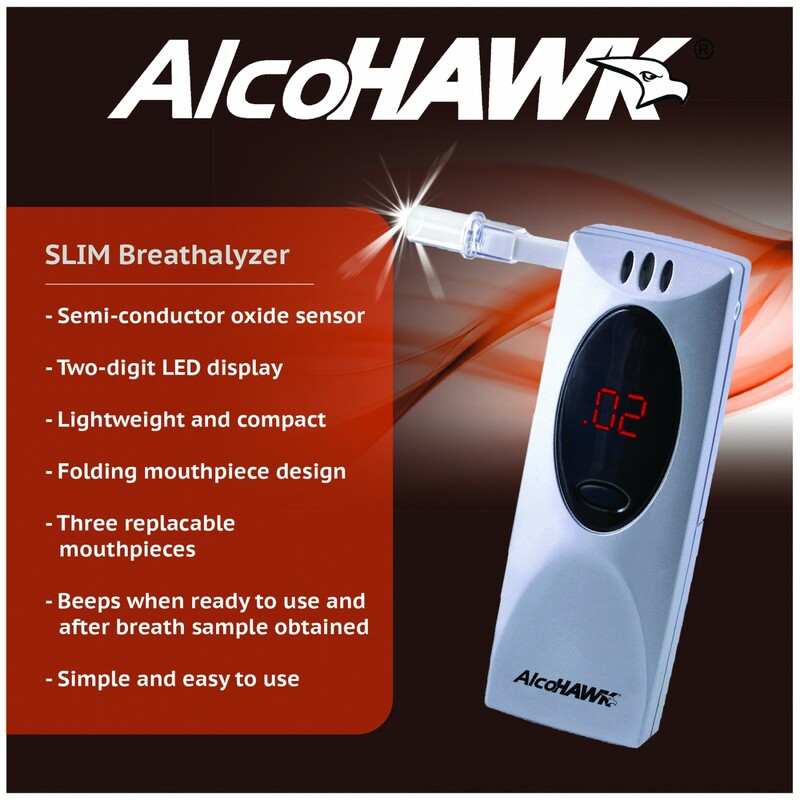 The Slim screens for the presence of alcohol quickly and is an ideal solution for a discreet, easy-to-use breathalyzer unit. Equipped with a crisp Ruby Red L.E.D. 2-digit display and pre-calibrated in the USA before shipment. This unit has also been upgraded to use a folding mouthpiece design to enhance accuracy of the test results by minimizing ambient air which could skew Blood Alcohol Concentration (B.A.C.) readings. The folding mouthpiece also allows for maximum portability and disposable mouthpiece covers (3 included) for sanitary use by multiple users! 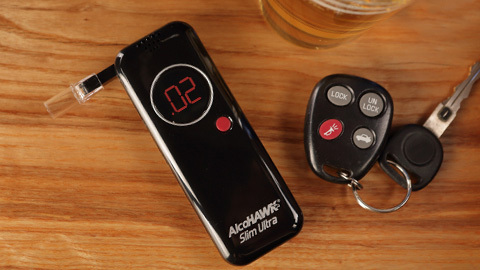 It's the ideal unit for testing your BAC! 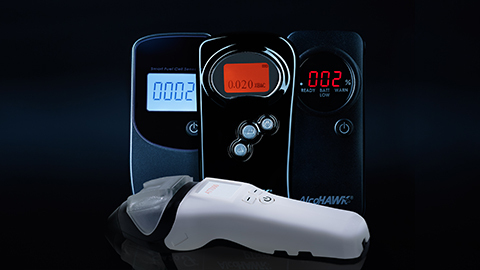 The AlcoHAWK® Slim includes three mouthpieces, owner's manual, quick start guide, and a 1 year warranty. After turning on the unit, the breathalyzer will count down while it warms up or 'primes' the sensor for testing. The unit will give an audible beep and the enduser will take a deep breath and blow SLOW and STEADY for 5 seconds as the unit will give a second beep to signal completion of the testing. In seconds, the unit wilI display the BAC measurement from .00 to .40 % BAC. 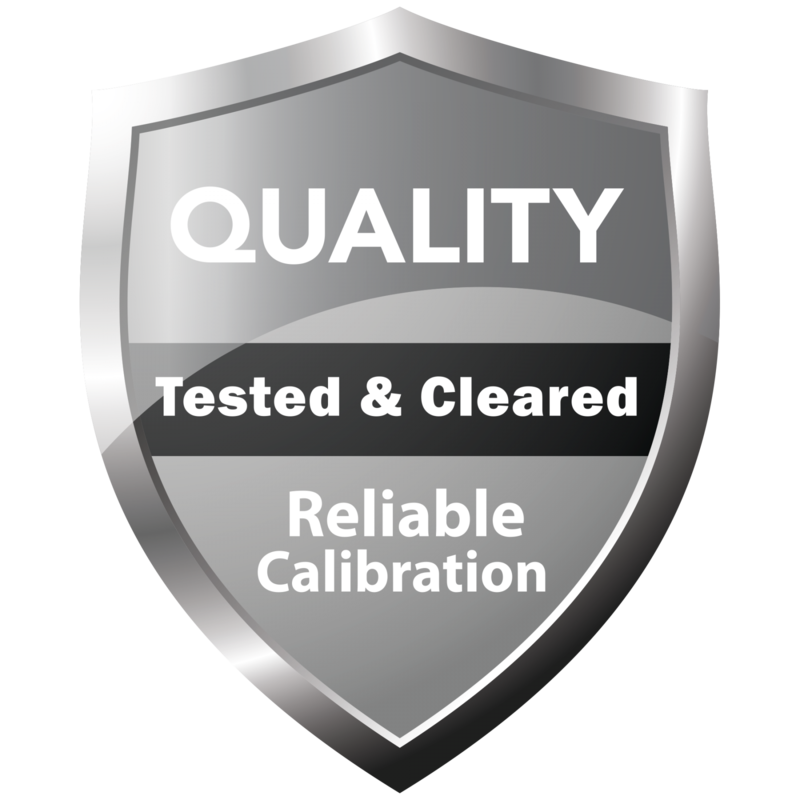 Pre-calibrated in the USA prior to shipment. Folding Mouthpiece design: Mouthpieces are absolutely necessary to focus the deep lung breath sample over the sensor and obtain the most accurate results. With the innovative folding mouthpiece design you can have the best of both worlds - no ambient air skewing the test results and no need to buy additional mouthpieces. If needed, additional mouthpiece covers are available for sanitary testing of multiple people. 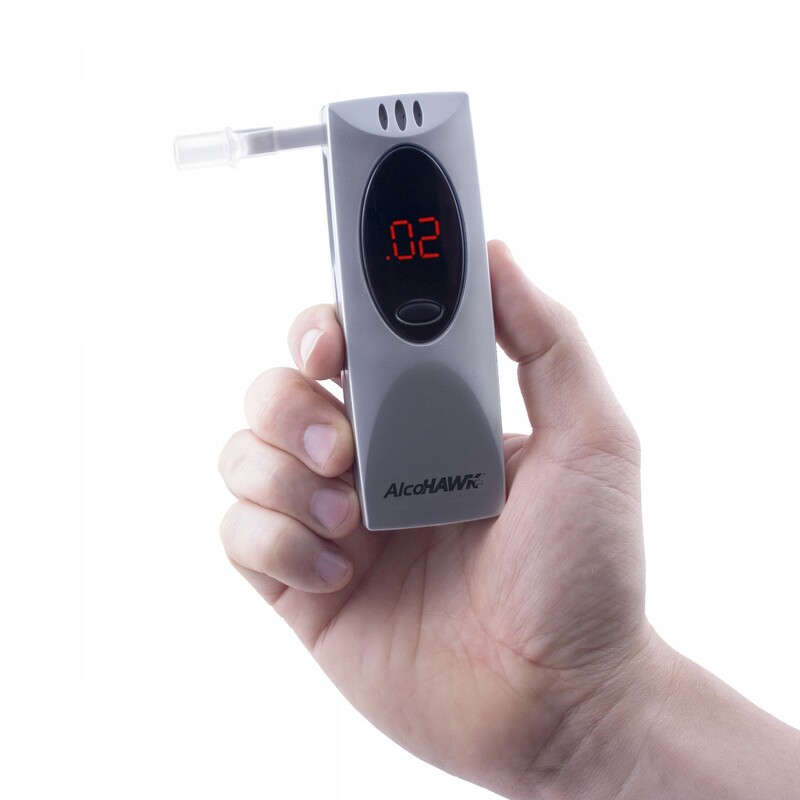 Wide Test Range Measures Blood Alcohol Content from .00 - .40% BAC. Ruby red LED 2-digit display makes test results easy to view any time of day or night. One Button Operation for Fast and Easy Testing. Simply push the power button and begin testing in seconds. 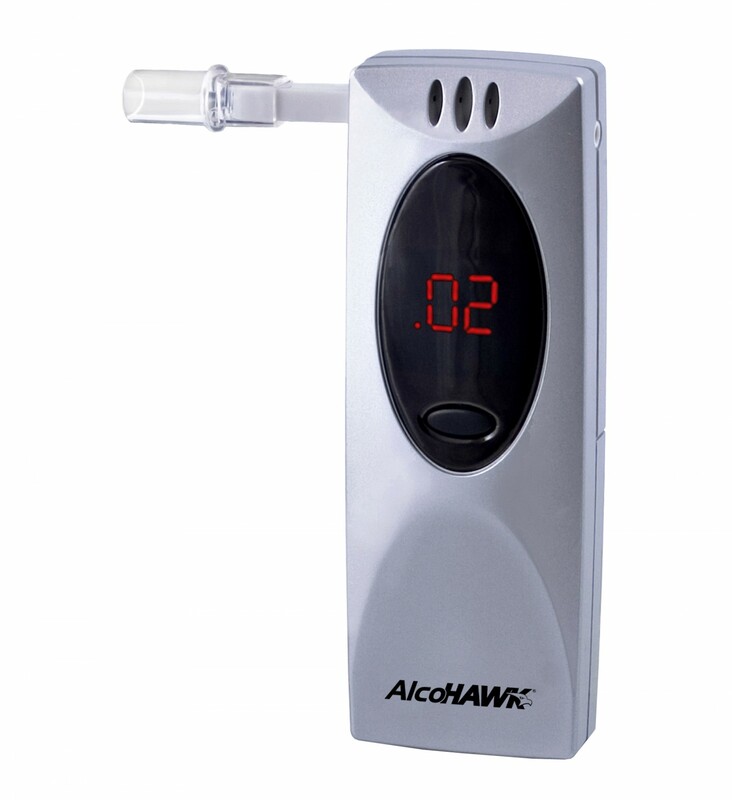 Sample Concentration Sensor: The AlcoHAWK Slim breathalyzer contains a software upgrade to allow the unit to track if an even alcohol concentration is detected in the sample. This cutting edge technology serves as another check of sample integrity. 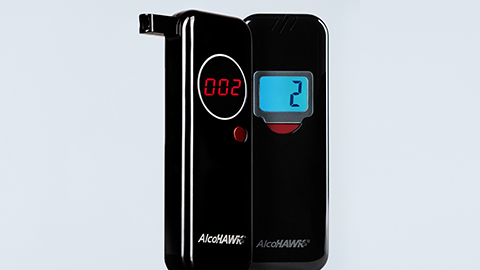 Sleek Design: The AlcoHAWK Slim breathalyzer was created with portability and handheld use in mind so it easily fits into a pocket, purse or glove compartment. 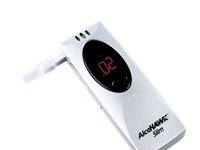 This breath alcohol tester is intended to measure alcohol in human breath. 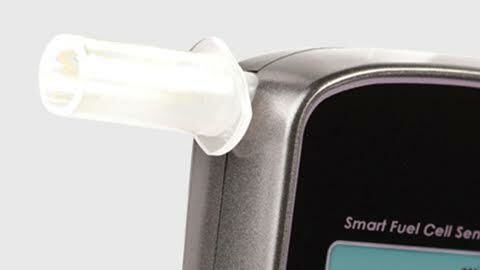 Readings from this device are used to determine alcohol intoxication. Individuals should not drink alcohol and drive. Choking hazard alert - Mouthpiece covers. 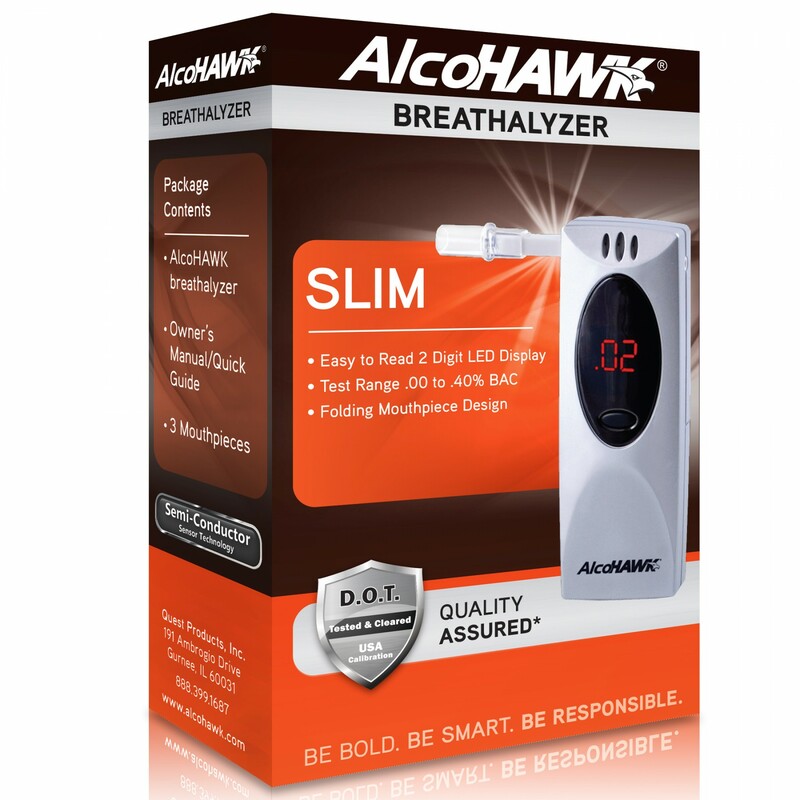 The AlcoHAWK Slim breathalyzer includes three mouthpieces, owner's manual, quick start guide, and a 1 year warranty.